WHAT’S SINGING WITH ANGELS ABOUT? 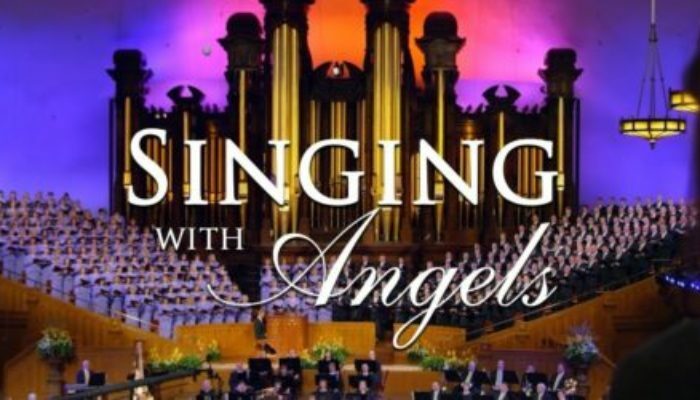 A woman finds renewed faith and strength singing with the Mormon Tabernacle Choir while facing several personal and family struggles. With gorgeous music and beautiful cinematography, Singing With Angels is in many ways a delight for both the eyes and ears. When the choir sings, the movie soars. Unfortunately, the drama in between the musical numbers is hit-or-miss. Many conversations feel scripted, with question-and-answer back-and-forths that don't resemble realistic discussion. This is especially true in the first half; afterwards the writing and performances find surer footing, with strong emotional and spiritual payoffs that left me in tears. As a tribute to the power of inspiring music to bring comfort and strength, Singing With Angels overcomes its flaws and is worth the watch. Singing With Angels is rated PG. There is no offensive content. There are thematic elements (illness, accidents, etc) that may trouble the youngest of viewers. As a form of prayer, music can bring us peace, fill us with gratitude, call down blessings, and bring us closer to God. Wherever we are, whatever we do, we can accomplish good. Love The Mormon Tabernacle Choir? Check out King of Kings, a Hollywood film about Jesus Christ for which they provided the music.